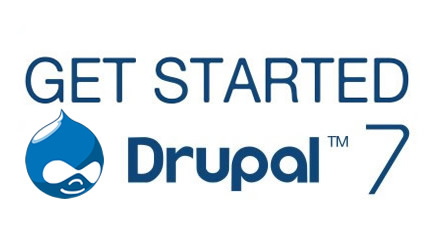 Drupal is a renowned open source Content Management System (CMS) which is running successfully on millions of websites including news site, social networking, media, blogs, forum, corporate, entertainment and many more across the globe because of its simplicity, modularity and granular control. Even Drupal has a big community of around 2000 developers & over 830,000 users which obviously proves the Drupal excellence. With much awaited release of Drupal 7 has now been officially launched and running successfully with robust security, friendlier installation, maintainability & expanded development framework.
? Endless Customization: now with this new upgrading, one can fully make out the use of CMS with custom fields and views. You can customize every area of the site fully according to you.
? Usability: the usability feature has been enhanced with this release now providing improved support for integration of WYSIWYG editors, more drag and drop features added to admin tasks, administrative links to edit existing page elements, redesigned password strength validator and so many others. Previous settings are now easier to find with a better organized way and these modifications will definitely be convenient for the users to get the maximum use of CMS.
? Improved Image Management: With this version image management is developed directly into the core, now building it easier to style, add and size photos for utilizing them for photo galleries, blog posts and others.
? Advanced Security: Drupal version 7 is more secure than previous one with its more secured password system, advanced secure log-in system, more security on implementing scheduled tasks and stout security on updating modules via web.
? Performance Advancement implemented: now you will find various improvements on documentation, search (now support language aware searches), file handling, theme system (like version 7 has three new themes), testing, news aggregator (added OPML import functionality, added feed updates function), image handling and others.
? More Improved Administrative Area: This version has redesigned admin area with stringently tested tools that works smoothly with advanced tools. With so many advanced and improved features Drupal 7 has the capability to develop robust and reliable web applications with bold and distinctive designs using latest CSS3 and HTML5. Above all, Drupal version 7 is a brilliant Content Management system with superb features.